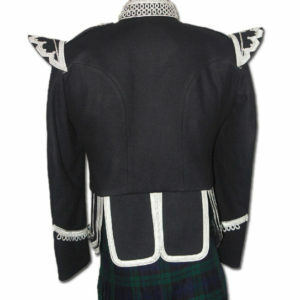 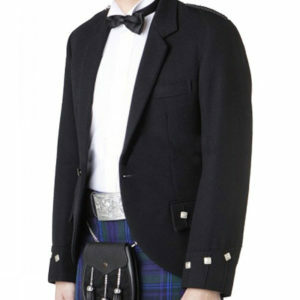 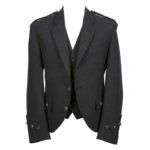 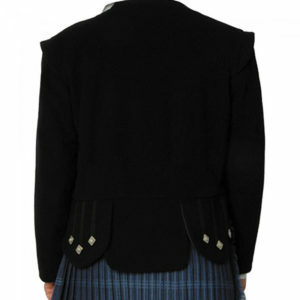 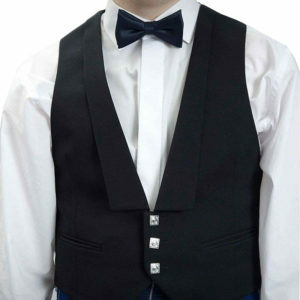 Sherrifmuir Grey Wool Pride Jacket with Vest comes in a grey color which made of 100% wool has its own grace to wear on wedding and parties This Kilt Jacket comes with Vest and perfects suited for men’s and boys. 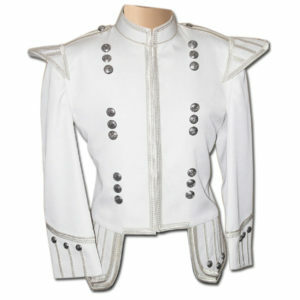 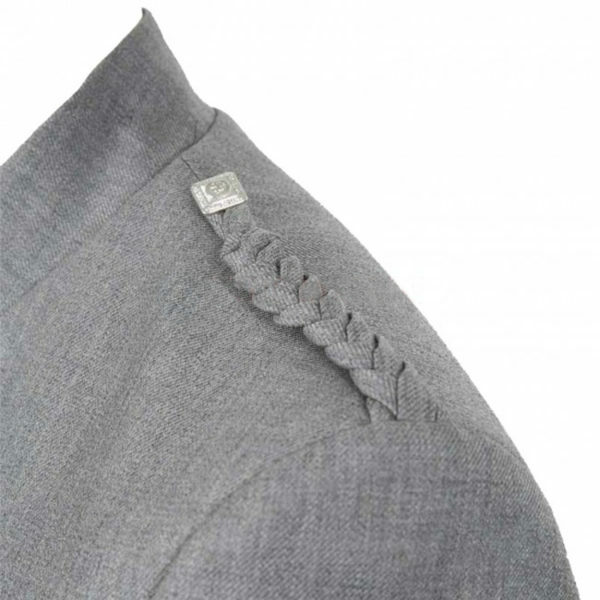 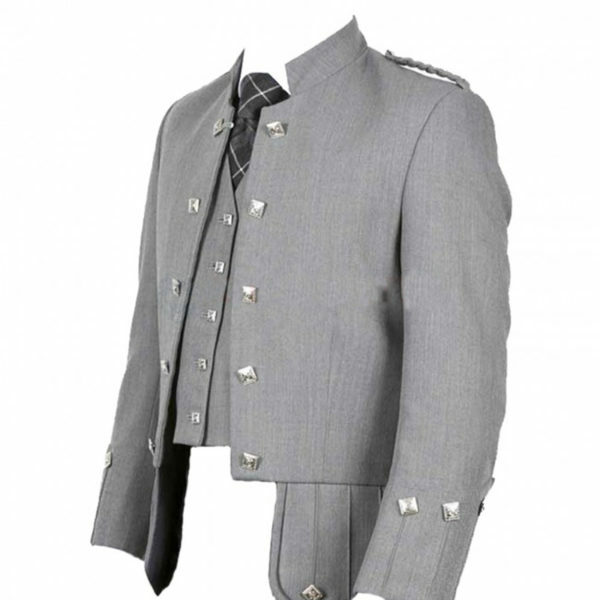 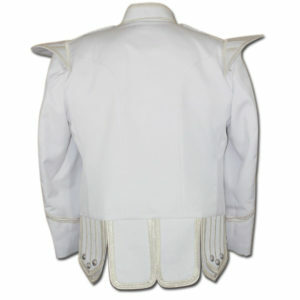 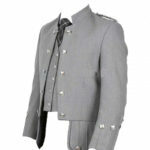 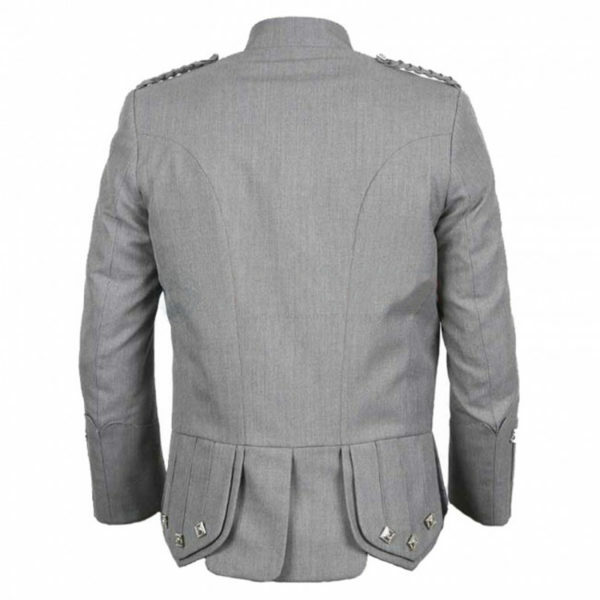 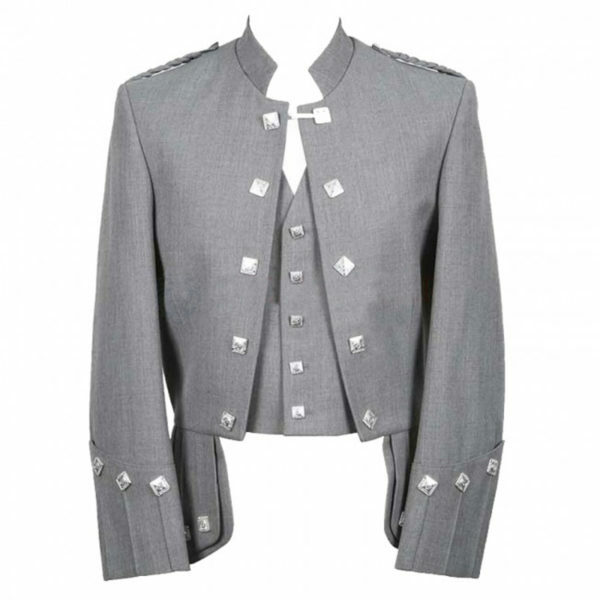 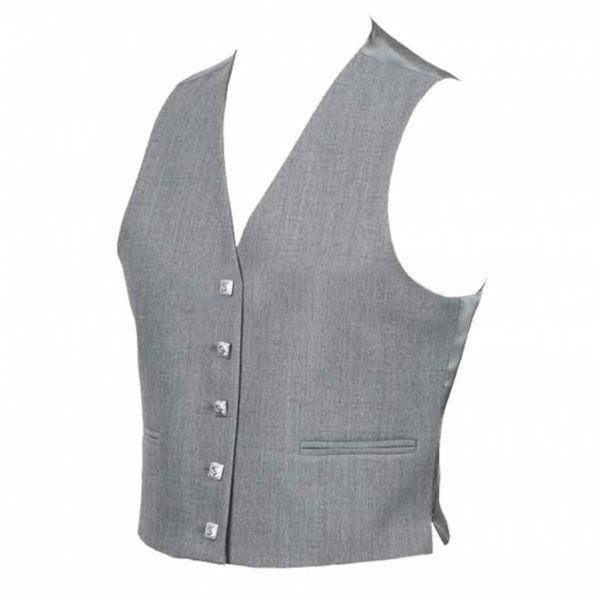 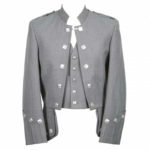 It is fully lined with grey satin and comes with chrome buttons and 2 pockets waistcoat. 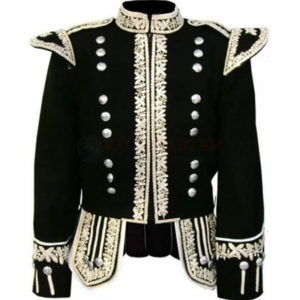 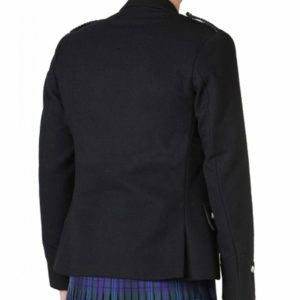 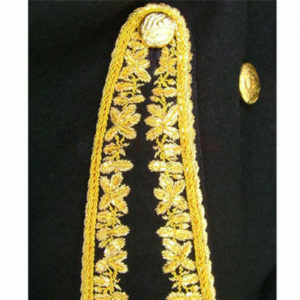 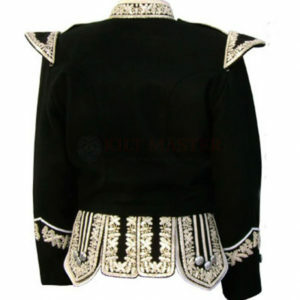 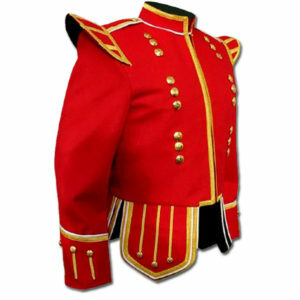 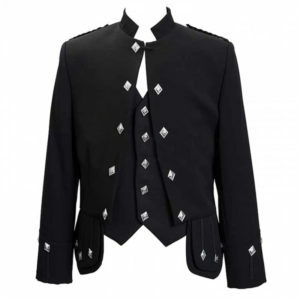 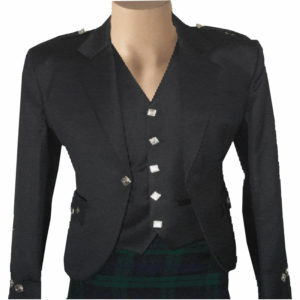 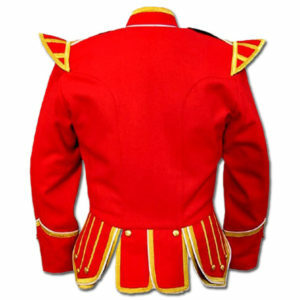 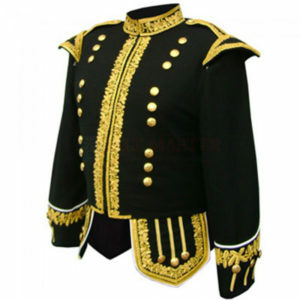 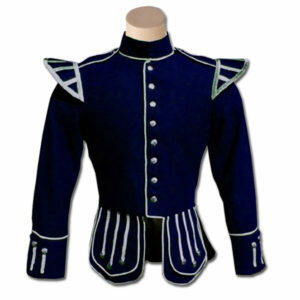 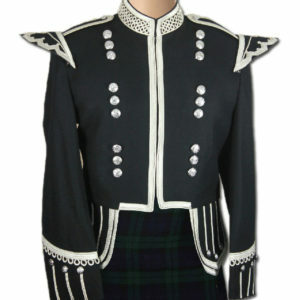 This Military Sherrifmuir jacket is available in all general and plus sizes.